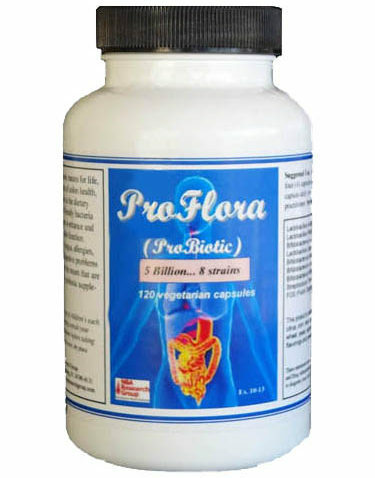 The word probiotic means for life, but in the context of colon health, probiotics often refers to the dietary supplements of friendly bacteria that can be taken in capsule form to enhance and support good colon function. Many strains of good bacteria available in supplement form work to support healthy bowel ecology. There are various strains of bacteria that go by different names, such as lactobacillus acidophilus, lactobacillus rhamnosus, lactobacillus case, lactobacillus bulgaricus, bifidobacterium bifidum, bifidobacterium lactis, bifidobacterium breve, bifidobacterium longum, streptococcus themophilus, lactobacilli salivarius, and lactobacilli plantarum. 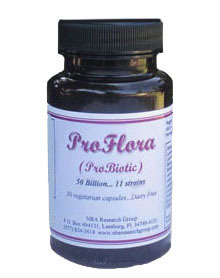 Some probiotic bacteria feed on putrefactive matter in the digestive tract and help to eliminate it. They act as microbial pak-men, munching away, and cleaning impacted, putrefied debries throughout the digestive system. Probiotics can be very active on proteins as well as by-products of protein putrefaction. This allows the bacteria to breakdown undigested proteins, thus making nutrition readily avalible to the body while rendering pathogenic toxins inert. Friendly bacteria offer tremendous support for good colon health. With so much of health depending on the condition and cleanliness of the intestinal system, health conscious folks should consider consistent or periodic consumption of probiotics as essential. Caution: If pregnant or nursing, consult your health care practitioner before taking this product.